Our congratulations to Professor James Arthur, University Professor and Ted Mossman Chair, for being awarded the 2015 Wolf Prize in Mathematics. 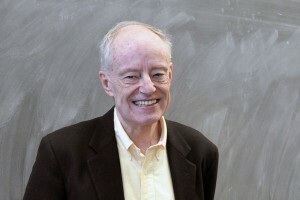 It is only the second time that any Canadian has won it in Mathematics (the first being Robert Langlands of the Institute for Advanced Study, Princeton). Moreover, Jim is the first Canadian to win it who did his work in Canada. Hearty congratulations to Professor Arthur on this tremendous achievement!